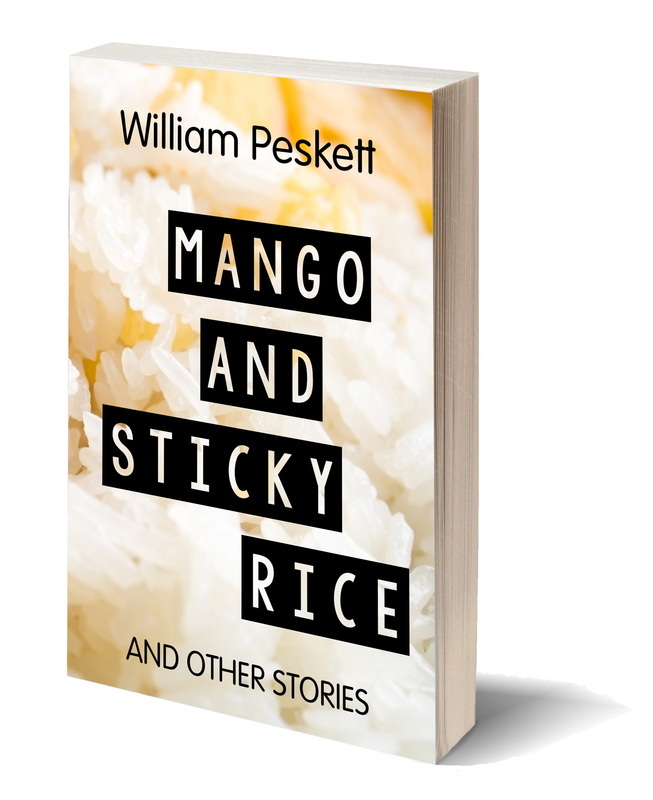 "The stories in this first collection Mango and Sticky Rice are entertaining, gripping, amusing, hilarious, but also sad. These tales are bound to leave an imprint." A photographer hired to witness a murder, a colour-blind sperm donor, a ghost who misses his friends, a Canadian who pretends he’s from Latvia, and a woman sure her children’s will be the last human generation—these are just some of the fascinating characters with leading roles in this poignant collection of short stories. Often amusing, sometimes comical and occasionally sad, these tales are always touching. William Peskett writes with a light touch and brings a sensitive and sympathetic eye to bear on a wide variety of characters and an unusual mixture of relationships. Most of the stories in the collection are set in Thailand or have a Thai connection and have much to reveal about how life is lived by locals and by foreigners resident in this fascinating part of the world. Available as as e-book and as a 180-page paperback.